So many possibilities, where do the Yankees go? November is always a tough month for the Hot Stove League. Lots of talk but not really much action. There’s always the chance for a major trade but we generally have to get much closer to the Baseball Winter Meetings in December for the flurry of activity, then the quietness returns until the start of training camp. I don’t expect this year to be any different. 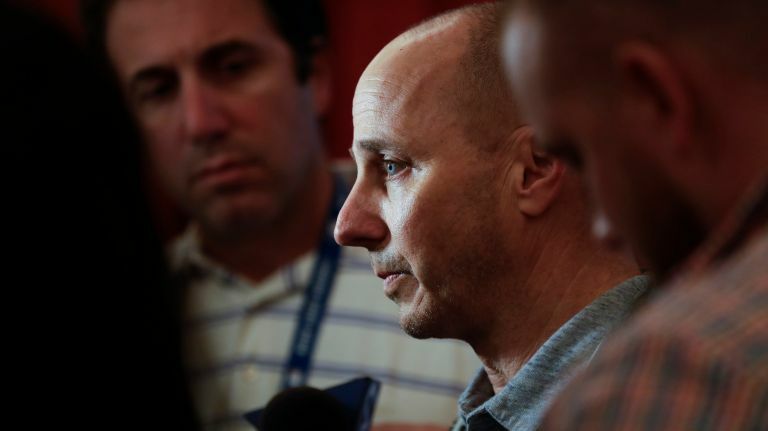 No doubt GM Brian Cashman is laying the groundwork for potential trades. 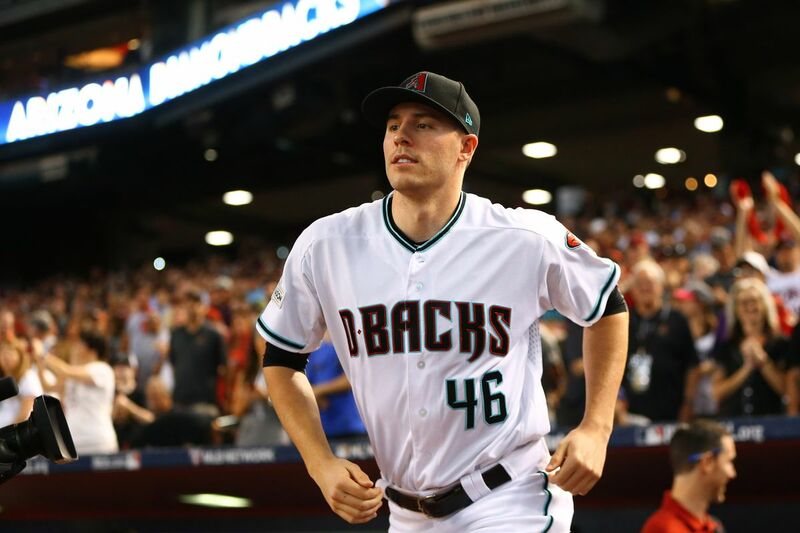 He’s talked with the Cleveland Indians, he’s reached out to the Seattle Mariners, and has surely had talks with teams we’ve heard nothing about. The talks now will hopefully yield fruit later, but rest assured, if the Yankees are successful in obtaining Corey Kluber, Carlos Carrasco or James Paxton, it WILL hurt. For a team on the cusp of a championship, now is not the time to “prospect-hug”. The team must be prepared to pay the price, whatever it may be, to bring in a top of the rotation arm. Of the names mentioned, I probably like Kluber the best. He would immediately became the team’s ace, which we clearly need, and his presence would help take pressure off Luis Severino. Less pressure on Sevy would only enhance the chances for him to become the best he can be. But if the Yanks can’t get Kluber, Carrasco would be a welcome addition. 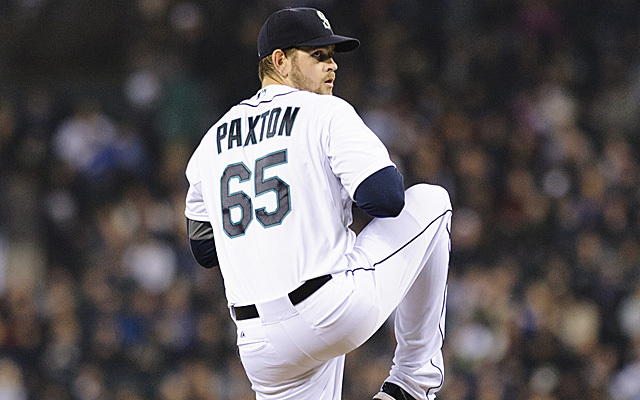 I really like James Paxton and I think his name has been mentioned frequently in the past by TGP’s Daniel Burch. My only concern, like many others, is health. Paxton has not proven to be a durable pitcher. But if the team has the opportunity to add Paxton and the price is reasonable, they should do it. Regardless of how the trade market plays out, I hope the Yankees do not lose sight of free agent starter Patrick Corbin. He will be costly but I am very fascinated with how his left arm and pitching arsenal would play in Yankee Stadium. He grew up as a Yankees fan and wore #46 in Arizona out of respect for Andy Pettitte. He is a ground ball pitcher with five legitimate pitches although his deadly combinations are the slider, four-seam fastball, and sinker. He’s been praised for his work ethic and the signs show he will be an elite pitcher in his 30’s. Corbin might slot into the third or fourth spot in the rotation depending upon what the Yankees do on the trade market, but he’d ensure the starting rotation is a strength in 2019 compared to its achilles heel in 2018. Despite the rumors of so many names, Corbin remains my number one target this off-season. I hope the Yankees see it the same way. Paired with an ace acquired via trade, or added along with the return of a guy like J.A. Happ or Nathan Eovaldi, the starting rotation will be better next year with Corbin in it. The Bryce Harper/Manny Machado talk has reached absurd levels. I am anxious for the guys to get their $300 million plus contracts to end the excessive chatter about the two young superstars. I think the Yankees would be foolish to pass on at least one of the rare “young” superstars but it’s not my money. I see the advantage of Bryce’s left-handed bat in the Yankees lineup and I see Manny’s role in bridging the gap at short and eventually providing a superior defender at third. My personal preference may be Machado as I’ve long admired the player but I would shed no tears with the signing of Harper. Still, the Yankees can win without either so if they go big with the starting rotation and bring in a guy like Marwin Gonzalez or Daniel Murphy to help the infield, it will not be the end of the world. I like the chances better with Harper or Machado, but the 2019 Yankees will contend for the World Series regardless of how this plays out. “Go big or go home” applies now more than ever. For those keeping score, the Yankees have made some moves this off-season. They’ve re-signed Brett Gardner and CC Sabathia to one-year deals. 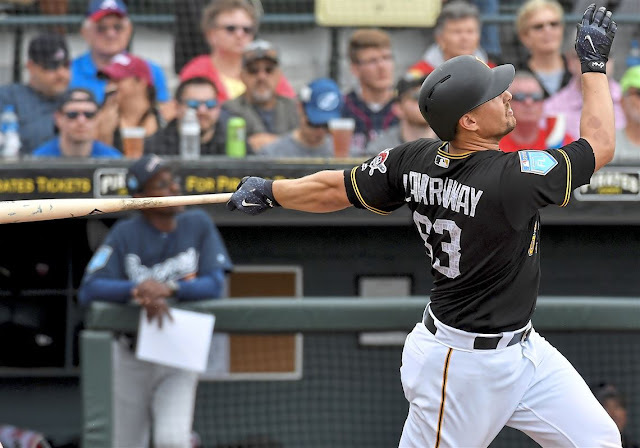 They re-signed minor league free agent third baseman and defensive-whiz Giovanny Urshela and they signed a minor league deal with former Pirates catcher Ryan Lavarnway. Lavarnway was once a heralded top prospect for the Red Sox, although, now in his 30’s, he has settled into a journeyman role. He provides much needed catching depth at the upper levels of the farm system. Lavarnway is one of those guys I hope the Yankees don’t need to use but he’s there to help if it becomes necessary. Milwaukee’s Erik Kratz has proven it is never too late to make a significant contribution. Welcome to the Yankees Family, Ryan! The end is within sight for Jacoby Ellsbury. He only has two more years on his contract before the Yankees can exercise their buyout. Ellsbury is owed $42,285,174 for the next two seasons, and the Yankees can then buyout his contract for an additional $5 million. Realistically, I don’t expect Ellsbury to wear the pinstripes again or at least I hope not, but I am glad we can finally see the light at the end of the tunnel. I’ve seen some suggest the Yankees should trade Ellsbury for another dead contract (like Miami’s Wei-Yin Chen, owed $58 million for the next three years, or Seattle’s Robinson Cano, owed $120 million over the next five years). No, thanks. I don’t think the Yankees should take on more money to rid themselves of Ellsbury. I like Cano and he might help but financially it makes absolutely no sense. He is clearly on the downhill slide and he’s entering the really ugly side of his ridiculous contract. If the Yankees can finally move Ellsbury even if they have to pay the bulk of his remaining contract, that’s the way to go. If I was a GM for another team and I was convinced that Ellsbury was finally healthy, I’d take a chance on him for no more than a $5 million per year commitment. That’s a lot of money for the Yankees to eat, but it would be worth the investment (addition by subtraction). I am done with Ellsbury and don’t want to see him pull on the pinstripes again. Yesterday saw two notable names in the game announce their plans to retire. Hats off to Joe Mauer of the Minnesota Twins and Chase Utley of the Los Angeles Dodgers for long, distinguished careers. Both are names I’d like to see stay in the game in some capacity. I am not sure what their plans are for the future but I wish both the very best as they enter the next phase of their lives. Mauer’s departure certainly opens an opportunity at first base for former Yankee Tyler Austin unless they decide to go in a different direction for new manager Rocco Baldelli. Is Sonny Gray still a Yankee? Count me among those who think Cashman will bring a better than expected return for the failed Yankee. I am certain he’ll get at least a strong prospect with upside. We’ll see. Hopefully Gray’s Yankee career is over by this time next month. It would be great if he could take Luis Cessa and A.J. Cole with him.